USA is considered as one of the global superpower as per economists and accounts for around 25% of economic output of the world. Due to recent economic crisis the market scenario has changed drastically and measures are been taken to improve this condition. The present government has implemented monetary policies to improve the financial condition of the country. Amidst of this fiscal turmoil the U.S. stock market is showing some positive signs of growth recently. Dow Jones showed a rise of 0.2 percent and reached to 13,900 points. The standard and Poor’s index rose nearly 0.3 percent and moved to 1,505.92 and the Nasdaq 100 index rose to 2,721.50 points. Shares of Hewlett-Packard rose nearly 2.9 percent, TI shares also rose almost 2 percent and Insurer American International Group Inc also saw a rise of 4.2 percent. 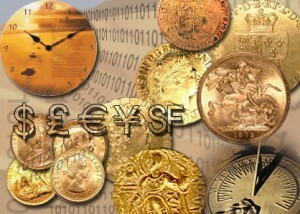 Stock market across the Euro zone also bounced back and some of the major players also saw strong gains. This was not restricted to this part of the world as Asian market also saw huge gains in last couple of days. These recent movements in the share market have made the Binary Traders optimistic about the future condition of the US market. They are hoping that this present scenario will help them to generate to more profit as they are hoping that the present market condition will improve with days to come. Most of these traders are looking forward for various government reforms that will allow stabilizing the economic condition of this zone. As the share market is improving, the market analysts are suggesting the Binary Traders to be extra careful while investing. According to market experts the traders should keep a close watch on the daily ups and downs of the market as this helps them to create proper market strategies. They should also invest carefully to avoid loses and should discard rumors and speculations about the market. Binary traders should keep an eye on the global economy and on the key market players who can change the entire scenario of the present market. They should constantly monitor the value of dollar against various currencies as this will help them to enjoy more profit. They should also have a fair idea about the current position of major stocks and shares so that they can invest sensibly and get maximum return.